Blindings a la Bhagalpur continue in Bihar. That horrific ‘instant justice’ of 1980s was forgotten before filmmaker Amitabh Parashar discovered many latest victims of Operation Gangajal (the Ganga’s water or holy water) that is still prevalent in remote areas of the state, but never came out in the public domain. Parashar, whose Eyes of the Darkness has been certified by the censor board for release, told The Sunday Standard that blind justice is very common in Bihar and he discovered at least nine such cases in 2016. The filmmaker claims he recorded an average 9-10 blinding cases every year in the interiors of the state since 2012. Shocking images from Bhagalpur shook the nation’s conscience in 1980s with barbaric tales of blinding by injecting acid—infamously called Gangajal—in the eyes of the victims. Some policemen took the law into their hands by pouring acids in the eyes of 33 under-trials to allegedly cleanse evil from the society. After a nationwide furore, the unspeakable act wasn’t meant to last. But 36 years and an Ajay Devgn-starred blockbuster—named Gangaajal—later, the ‘street justice’ remains a hidden reality in the state where victims are angry that death was making them wait so long. Raju Alam in his 20s is one of the latest victims of Gangajal. A resident of Gaya district, Alam’s torture was allegedly attributed to fight over supremacy within the community. Ajay Yadav, 24, a farmer from Madhepura, was dragged from his house by a mob led by his immediate neighbour on November 15. He said the mob forcefully overpowered him, punctured both his eyes with a knife and put acid in them with a syringe. “The targets are petty criminals; sometimes even teenage boys and girls are blinded. Often ‘orchestrated group action’ masquerades as public outrage, but the consequences are equally painful and tragic for the victims. What is even more shocking is that, despite the fact that police and administration have known such incidents, no action is taken in majority of the cases,” says Parashar. 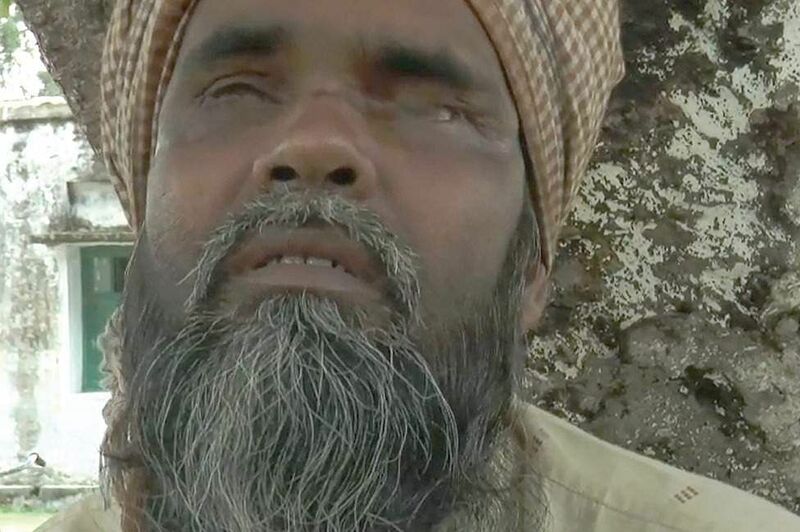 During a trip to Bhagalpur district recently, he came to know about one forcible blinding incident where villagers poured acid into the eyes of a cow thief. “I met him to know his side of the story. He said the crowd beat him while a syringe full of acid was fetched and injected into his eyes. He also said while injecting acid, villagers told him, ‘Take Gangajal’. This will cleanse you,” the filmmaker told this newspaper. Twenty-three years ago, Mohammed Shahid’s hands were tied by a mob following a minor scuffle over Holi in his village, Blachanda, in Araria district. Somebody from the crowd poked acid-filled needle in the left eye to blind Shahid. His right eye survived the attack but not for long. In November 2014, he was attacked again and this time his right eye was targeted with acid. He was to never see the world again. With light gone from his life, Shahid begs to die. Shahid tells The Sunday Standard that he was living with the tragedy since then but the recent attack that left him completely blind is worse than death. “It is better to die. You cannot understand the pain of losing both the eyes to acid attack. Every moment is a nightmare,” he cries. A mason, Shahid claims he did nothing wrong but personal enmity with some people from a neighbouring village could have been behind the cruelty. He says the inhuman act lasted for almost 15 minutes. Coughing and gasping for breath, Shahid begged the mob to spare him. But a few onlookers cheered his pain and agony. Did he get justice? ‘No’, says Shahid, who is still awaiting trial in the first case filed 23 years ago. Living in extreme poverty with a family of five, including two marriageable daughters, Shahid is a living example of cruelty, once justified in Bihar as extra-constitutional grander justice. “I have to live this life with the wound that won’t heal. Where will I get the justice now? How am I going to marry off my daughters? Upar wala dard samajh raha hai, phir bhi marne nahin deta (God knows my pain, but doesn’t let me die)”. Shahid raises many questions during conversation narrating the merciless violence against him which the world first came to know in 1980 as Bhagalpur blinding case. Lawyer and activist from Bhagalpur, RK Mishra, said since 1980-81, blinding by Gangajal has never stopped in this dark part of the country. Mishra, who has taken up the cause of victims, believes that taking a cue from the cops of 80s, ordinary citizens have also adopted blinding to punish petty crime and even settle personal scores. He said this unspeakable act of cruelty is yet to trigger nationwide outrage. The Sunday Standard spoke to Munna Thakur, a resident of Hingana village of Raniganj. A former criminal in his mid-30s, Thakur was involved in bank robberies and other crimes till 2010. But one fine day he surrendered before police and spent about four years in jail. He came out of prison in 2014 and in pursuit of a respectable living, decided to field his wife Indu Kumari for the village chief’s by-election against a candidate from a higher caste. He was threatened with dire sequences and was asked to withdraw his wife’s nomination. Munna, however, decided to go ahead but ended up losing the election and both his eyes. A group of villagers led by the high caste village head’s husband blinded Munna and his friend Kanhaiya Thakur with an acid-filled syringe. “They poked acid-filled syringe eight times in both my eyes and left me only when blood started oozing out. I died that very moment when I realised that I couldn’t see any more. I wish they had killed me,” says Munna. Munna also asks himself whether being an outlaw was a better option for him. He is struggling hard to get justice, but it’s not easy in a system, which has tragically become immune to barbarity. His son has stopped going to school because the teacher is also an accused, who has spent seven months behind the bars in the case. “Now, the teacher threatens to blind my son with Gangajal if I do not withdraw the case. I met Director General of Police twice, and wrote to state and national human rights commission but justice still eludes me. Forget about compensation, I didn’t receive a single penny for my treatment from the government,” he says. Umesh Yadav, a survivor of the 1980 Bhagalpur blinding, recounts his horror. The then DSP VK Sharma thrust a long acid-filled needle in both of his eyes, leaving him completely blind. Yadav says policemen tied his hands and feet in Kotwali Police station on February 16 that year. Then one of the constables sat on his chest, opened his eyes and poured acid in them. For Yadav, the long wait for justice brought nothing but deep anguish. “I’m not afraid of death but scared of living like this, with increasing dependency on others,” Yadav says. 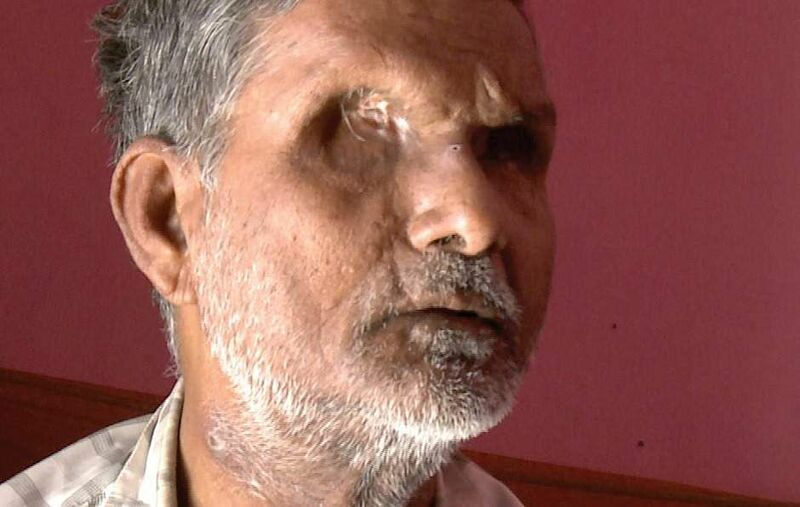 Bhagalpur had become infamous in the 80s after 33 suspected criminals were blinded with acid injected into their eyes by the police in an alleged attempt to check crime. Report of the doctors at Dr Rajendra Prasad Ophthalmic Institute, Delhi, who had examined many blind undertrials, observed that most of the victims were suffering from collapse of one or both of the eyeballs, and their eyes had been punctured by some sharp and pointed weapon. Patel Shah, who was blinded in October 1980, questions the police’s act saying even if he had done anything wrong, they could have broken his limbs or even shot him dead. “Police have no right to blind anyone; I knocked on the doors of every politician and minister but there is no justice after 36 years,” Shah says. Fifteen of the 33 victims are still alive and surviving on `750 monthly pension from the government. The survivors, who have spent the last decades in dark while waiting for glimmer of justice, believe that authorities and the state have been a part of the cover-up to keep the culprits out of prison. December 2016 was the same for Umesh and Shah as was 1980. Every day is a wait for death.